Mohandas Dewese (born 8 August 1962), better known as Kool Moe Dee, was an American old-school rapper prominent in the late 1980s and early '90s. He is from Manhattan, New York City. In high school in the late 1970s, he met Special K and DJ Easy Lee. They formed the influential old school hip hop group the Treacherous Three. It is with The Treacherous Three that Kool Moe Dee performed his freestyle, on stage roast of old school party rapper Busy Bee Starski, a performance frequently cited as a pivotal moment in the development of the battle rap. In high school in the late 1970s, he met Special K and DJ Easy Lee. They formed the influential old school hip hop group the Treacherous Three. It is with The Treacherous Three that Kool Moe Dee performed his freestyle, on stage roast of old school party rapper Busy Bee Starski, a performance frequently cited as a pivotal moment in the development of the battle rap. In 1986, Kool Moe Dee went solo, releasing a self-titled album. He is also well-known for his long-running feud with LL Cool J; he claims that LL Cool J stole his rapping style. 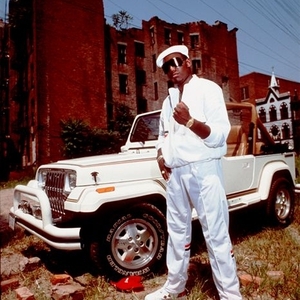 The cover of Kool Moe Dee's 1987 album How Ya Like Me Now features a red Kangol hat (LL Cool J's trademark) being crushed under the wheel of a Jeep. His song I Go To Work from the album Knowledge Is King is considered by some the pinnacle of his work, with high speed, high energy and intricate lyrics masterfully mixed in to the stacatto sounds of a marching band. Kool Moe Dee also appeared on Will Smith's #1 pop hit "Wild Wild West" from Smith's 1999 motion picture, on which he re-performs the chorus to his 1987 single of the same name. In 2003 he authored a book called "There's a God on the Mic" (ISBN 1560255331). The book breaks down his 50 favorite MCs in terms of originality, concepts, versatility, vocabulary, substance, flow, flavor, freestyle, vocal presence, live performance, poetic value, body of work, industry impact, social impact, longevity, lyrics and battle skills.